You Can Download Deluge From HERE. Tixati is one of the most advanced and flexible BitTorrent clients available. And unlike many other clients, Tixati contains NO SPYWARE, NO ADS, and NO GIMMICKS. You Can Download Tixati From HERE. 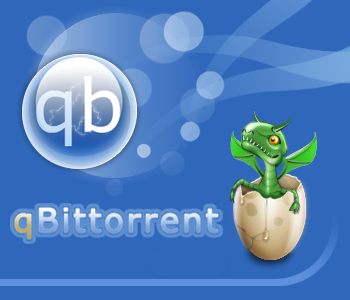 qBittorrent is an open-source BitTorrent client based on libtorrent. This project is up-front about its goal: “The qBittorrent project aims to provide a Free Software alternative to µtorrent.” We definitely need one of those! You Can Download qBittorrent From HERE. Tribler is a research project of Delft University of Technology. Tribler was created over nine years ago as a new open source Peer-to-Peer file sharing program. During this time over one million users have installed it successfully and three generations of Ph.D. students tested their algorithms in the real world. Tribler is the first client which continuously improves upon the aging BitTorrent protocol from 2001 and addresses its flaws. We expanded it with, amongst others, streaming from magnet links, keyword search for content, channels and reputation-management. All these features are implemented in a completely distributed manner, not relying on any centralized component. Still, Tribler manages to remain fully backwards compatible with BitTorrent. You Can Download Tribler From HERE. Hope you liked this article. Any issue or fault you are facing then feel free to Contact Us !! We are providing services for RDP and VPS since 2012. We do not thinks us that we are best, but we tries to be best at all levels, either support or sales. We always tries to give 100% satisfaction to our clients. By our this motive of serving our clients best, we have reached to a 2000+ clients score .Nothing more about us, just try us once !! Four Best Torrent Softwares on a Windows Server. How To Enable Remote Desktop (VNC) on Kubuntu. Fixing Copy & Paste Problem on VPS/RDP Server. How to Change the Keyboard Layout In Your Server ? Adding Multiple IP Addresses to Windows Servers Easily. cPanel Vs Plesk, Which One Is Better ? Why can't you connect to a remote PC ? Copyright 2014, "RDP Arena Blog". All Right Reserved.